This Black T-shirt is anything but basic. 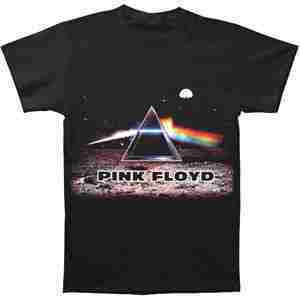 This Athletic Tee features a modern depiction of the dark side of the moon album cover if it were placed on the surface of the moon. You can even see the Earth out in the distant background.